At Ash and Embers we are passionate about bringing an antique fireplace back to life. As well as offering a range of professionally restored fireplaces for purchase and installation our restoration specialists can restore your cast iron or marble fireplace. We specialise in restoring cast iron and marble from the Georgian, Victorian and Edwardian periods. We can take care of everything from stripping and cleaning, repairs to breaks or cracks, replacing tiles to reinstalling it fully restored. You can rest assured that we are dedicated in providing the best quality service from start to finish. We can offer a free estimation on what needs to be done to bring your fireplace back to its former splendour. 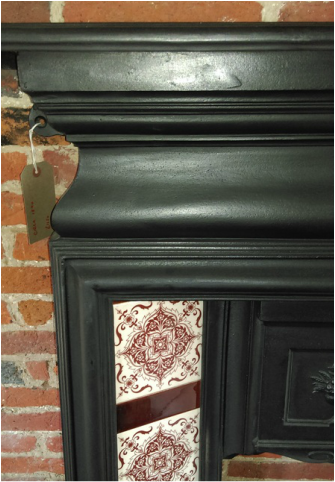 If you would like us to have a look at your fireplace we can arrange a visit, or alternatively send us a photo to start with.